GROWTH is an international scientific collaborative project in astronomy studying the physics of fast-changing events in the cosmos like supernovae, neutron stars or black hole mergers, and near-earth asteroids. GROWTH is led by Caltech and has partnered with thirteen universities and research institutions - five in the USA and eight spread across the world in India, Sweden, Taiwan, Japan, Israel, Germany and the UK. 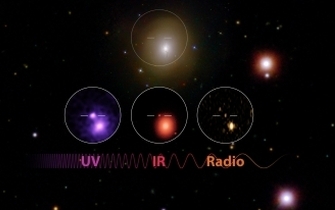 We want to continuously gather data on cosmic transient events in the first ~24 hours after detection to build a more complete picture and better understanding of the physical processes that govern their evolution. 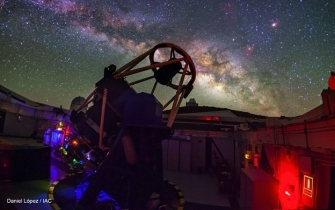 We jointly operate 18 observatories in the northern hemisphere. As the earth rotates and daylight creeps in at one of our locations, we switch observations to our facilities which still enjoy nighttime. Light curves of transient events (change of brightness over time), coupled with data about their spectrum can tell us how heavy elements are formed, what events generate gravitational waves, and much more. GROWTH is funded by the NSF under the Partnership for International Research and Education (PIRE) program with national funding available to partners in Taiwan, Japan and India.